STORAGE-Units are to be used for storage of property and for no other purpose. Storage of flammable materials in units is strictly prohibited. LOCKED-Every occupied unit must be kept locked with the customerâ€(tm)s padlock. PARK-Please park parallel to the building containing your unit when loading or unloading to avoid blocking the driveway. DEPOSIT-A customer intending to vacate his/her unit must give 14-days written notice before he will receive a refund of his deposit. The deposit will be refunded in 14 days if the unit is left undamaged and clean. ON-LINE BILL PAYING OPTION-After the first full month's rent,the Tenant has the right to request that all monthly payments be made on-line either through St. Johns Mini Storage LLCâ€(tm)s Recurring Billing Program or by the Tenant each month using the St. Johns Mini Storage LLC On-line Bill Paying option and the Tenantâ€(tm)s credit card. Tenant must provide St. Johns Mini Storage with their Email address, and Tenant must enter their credit card information on the St. Johns Mini Storage LLC web site. 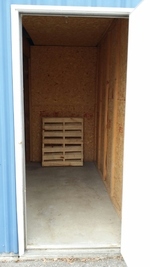 St. Johns Mini Storage LLC has the right to terminate this option as determined necessary by the Storage Facility. 2)	Put some d-Con and mothballs in the unit to help protect your items from mice. 3)	It is suggested that you have an inventory list of the major items in storage. 4)	Open bags of charcoal or cat litter will help draw some moisture out of the unit. 5)	Do not place fragile items on the floor by the door. 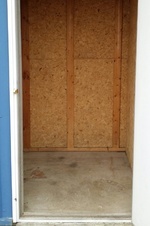 Cover the items stored by the door with plastic. 6)	Make sure to set or stack your items flat and steady. 7)	We strongly urge that you obtain insurance on the items you store. Please call your insurance broker to get price estimates on renters insurance. Home owners insurance should cover any household items. 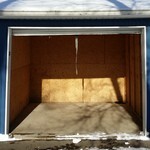 How did you hear of St. Johns Mini Storage?